Thank you to everyone who participated in the Authors in Bloom Giveaway. The winner of my personal prize is Jeannie Platt. Congratulations, Jeannie! I have a rather nice weekend in store for me. I’ll be going home to visit the folks and take in a STAR meeting. Haven’t been to a meeting all year and am in serious withdrawal. I believe the guest speaker this month is a tattoo artist. None of my characters in the my current wip are sporting any ink but that doesn’t mean I can’t use whatever he plans to share with us in some way. At any rate, it will be nice to connect again with the chapter. Best. RWA chapter. Ever. 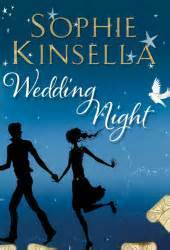 On a readerly note, I’m currently devouring Sophie Kinsella’s Wedding Night. Sophie is one of my favorite authors and as far as I’m concerned, she can’t write a bad book. I’m getting a big kick out of the fact that the 2 love interests for one of the protagonists are named Ben and Richard. Ahem… Yep, I have my own Ben/Richard thing going on in A GIRL LIKE YOU. I’m not sure which guy Sophie’s will end up with (but I have my suspicions) and if you don’t know which guy my own heroine, Emma, ended up with, then you need to go out and get my book, asap! ← Previous Previous post: Authors in Bloom Giveaway!